Go online, and twitter and facebook is full of bored adults. Dreading making pack-lunches once again. Scanning the fridge and cupboards each morning for a quick fix of items to chuck in a bag. Also in some sort of comfort that the child will actually eat it themselves. It doesn't have to be that way, prepare ahead of time, pinterest in great for inspiration. I won't go all bento box on you, although they are extremely cool and fun looking! The main key is variety! So you don't get bored of preparing lunch and the children don't get fed up eating the same thing day after day. Always have a 'sandwich' - but remember it doesn't have to just be sliced bread. There are tons of alternatives on the shelves from wraps, rolls, pitta breads and crackers to name a few. As much as people will say it will take twice as long, but do try and include the children. Allow them to explore the shop with you especially those fruit and veg aisles. It allows them to begin to understand where their food comes from. As well as preparation even if its buttering the bread or putting everything in the box. If you are worried about time make lunches the night before and put in the fridge. Fruit and Vegetables - include a piece of fresh fruit, carton of fruit juice, dried fruit, or even a bottle of fruit smoothie or even a few alternatives to crank up their '5 a day', vegetables are usually a big no to most children but try little samples in there or sometimes you can hide items like sweetcorn and grated carrot within the sandwich filler. For younger children make sure food is manageable, cut up fruit into little pots, sandwiches into 4. They don't need massive amount of food either as they will have a limited time to eat it all at school, you don't want them rushing in order to not miss playtime. Don't forget a drink! Water, Milk and Squash seem like the obvious choices. Maybe on Fridays let there be a treat of a milkshake or smoothie. 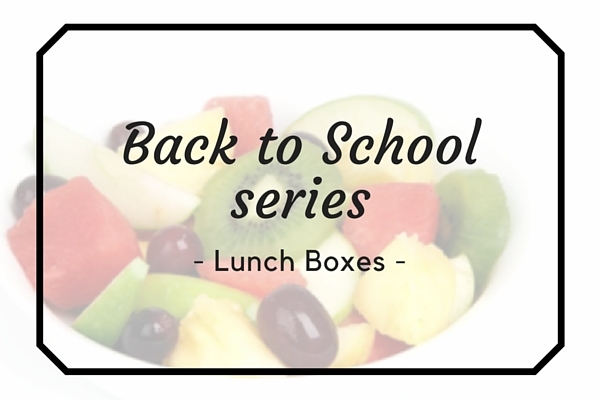 Read up on school policies, this may sound silly but some schools will have rules on what they allow in pack lunches this could be down to healthy eating or due to the allergies of others. Most schools won't allow nuts or any description and I have known of ones that allow not sort of sweet or chocolate bars. So do have a read or ask the staff if you are unsure. Do you have any tips you wish to share?